The shape of Britain’s economic state and social services in the 19th and 20th centuries had many impacts across the Empire, one being child migration. Many children, some younger than three years of age were sent overseas to the Empire Countries of Canada, South Africa, Rhodesia, and Australia. The children were not accompanied by a parent and were sent to begin a new life with the promise of a better future. In 1911 one such program, the Dreadnought Scheme, was designed to bring out British boys between the ages of 16–19 years. A training farm was established in Pitt Town, Sydney, offering practical training to young British men in Australian farming techniques. In 1912 Kingsley Fairbridge established his first farm school for British child migrants at Pinjarra in Western Australia. During the Great Depression almost all immigration to Australia ceased. Youth migration under the Dreadnought Trust and the Big Brother Movement was curtailed. However, Fairbridge was permitted to continue to bring children to Pinjarra, Western Australia, as was Barnardo’s to Picton in New South Wales. Following the 1937 Australian Election, juvenile immigration under the Big Brother Movement and the Dreadnought Trust recommenced and more farms schools were constructed. Fairbridge opened at Molong, the Lady Northcote Trust established a farm school at Bacchus Marsh, Victoria and the Christian Brothers brought their first group to Geraldton, Western Australia. In 1944, Australian Prime Minister, John Curtin declared that the government would commit itself to an expanded immigration policy at the conclusion of the war. The vastrefugee camps of Europe during World War II offered one source of immigrants. However, ‘Good British Stock’ was still given priority under the ‘White Australia’ policy. At the same time Arthur Calwell, Minister for Immigration and Information, sought to have more British child migrants brought to Australia under schemes such as the Fairbridge Farm Movement. Fairbridge Farm at Molong opened not long before the start of World War II and had approximately 60 resident children by this time. 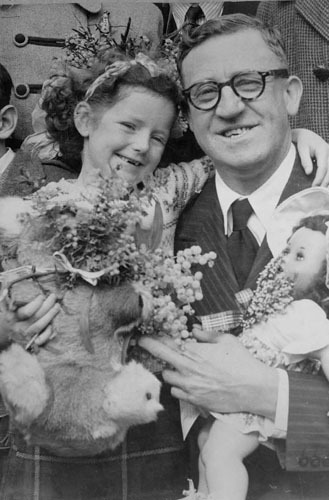 Calwell resolved to increase this number of child migrants explaining the benefits of placing them in the‘splendid environment’of Fairbridge.Arthur Calwell oversaw the mass migration of European migrants to Australia following the end of World War II. 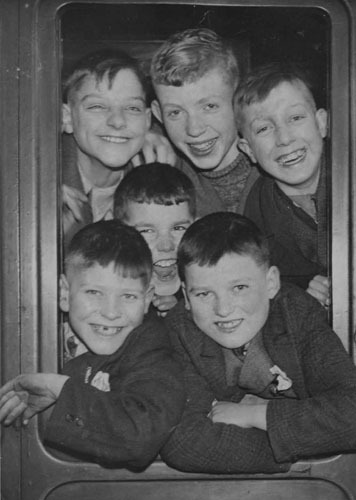 The demand for child migrants was met by a supply of British children from the over-stretched social welfare system of post-war Britain. After 1945 youth migration expanded with the Big Brother Movement and several church organisations sponsoring the migration of British teenagers until the 1950s and 1960s. The voyage to Australia for many was a time of fear, anxiety and separation. It was also reported as a time of excitement and adventure. 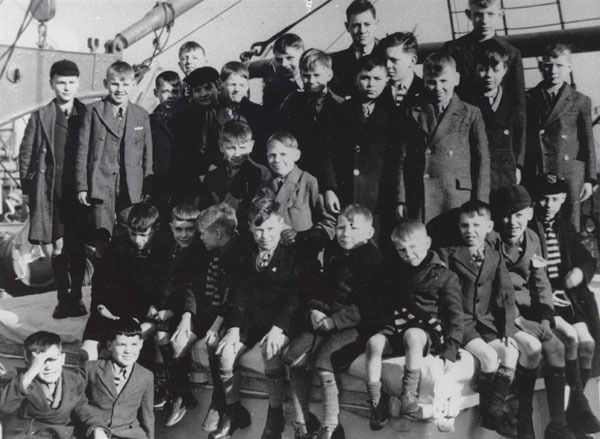 It is thought that over 100,000 British children participated in child migration schemes that operated over a 100 year period, from the 1860s to 1960s (Australian National Maritime Museum). Canada was the main destination in the 19th century. The exact number of child migrants to Australia is not known, but it is estimated that between 1947 and 1967, approximately 7,000 to 10,000 children were sent to Australia (the number would be more if the older ‘youth migrants’ are included).